'saratoga living' Nightlife Editor Lizzie Hunter goes in-depth with longtime Siro's employee Michael Stone. 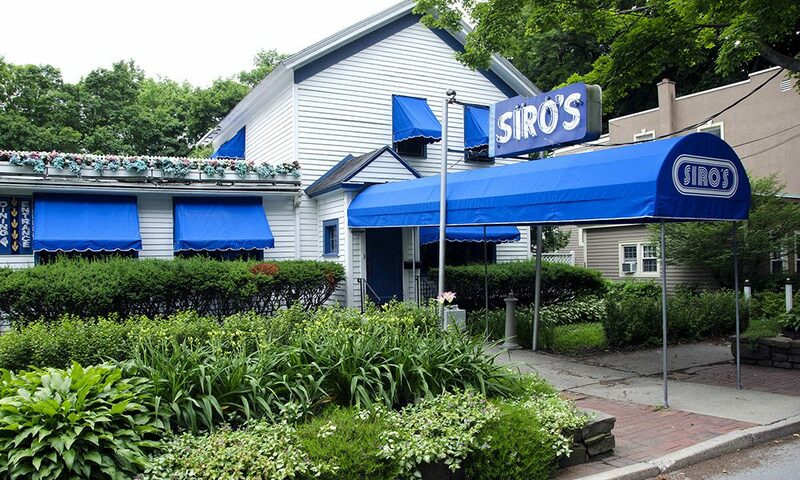 For more than seven decades, Siro's has been the most popular place among the high-roller set to go after a day at Saratoga Race Course. Siro’s cannot be explained; it must be experienced,” says Michael Stone, who’s been the General Manager and Maître d’ at Siro’s for all of three decades. His words ring true when talking about Saratoga Springs’ most famous racing-season restaurant and bar. First opening its doors in 1945 and named for The Waldorf Astoria’s Maître d’, Jimmy Siro, the fabled hotspot is located just steps away from Saratoga Race Course and is only open during track season (July 20-September 3). With its timeless elegance and customer-first service—whether it’s a random night or Travers Day, “You’ll always get the Siro’s treatment,” says Stone—it has and will always be the place to go after the track lets out. A little advice? Track season comes and goes more quickly than you can imagine. So do whatever you can to add Siro’s to your itinerary. It simply can’t be missed! Ask anybody.